Some sharks, however, have completely lost the ability to breathe by buccal pumping, and these are the sharks that will indeed drown if they stop swimming and ramming water. These sharks are known as obligate ram breathers (or obligate ram ventilators); only about two dozen of the 400 identified shark species are required to maintain this forward swimming motion . 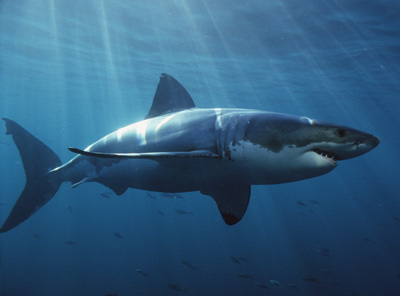 These include the great white shark, the mako shark, the salmon shark and the whale shark. It is Jacob in Ch 32 who wrestles with God and receives a new name, Israel, meaning “one who contends with God.” He was not one for easy answers or settling. Will you continue to move forward? Will you persist?